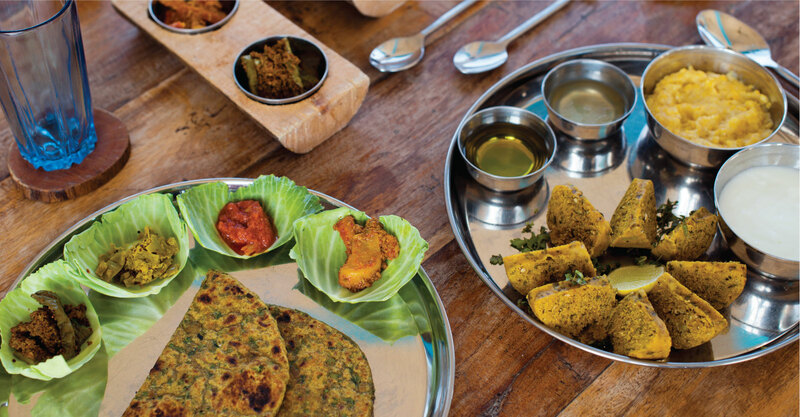 Based on the concept of 'slow food' the cuisine served at Lakshman Sagar is the traditional cuisine of the vicinity and includes special traditional hunting recipes of the Raipur Family. The dining experience combines freshest seasonal ingredients that are locally grown or sourced. Our tailor made itineraries are especially curated according to the guest's personal tastes & desires. Along with uncompromising and devoted service, we serve an authentic experience of rural marwar combining it with personal attention to every guest. With a customized private dining system, the guests can enjoy campfire meals and live cooking. From freshly made breakfast of local delicacies amidst the fields to lunch beside the lake or a romantic dinner on a float, the options for dining in the picturesque property are many.